CAMP Rehoboth is thrilled to announce the Women’s FEST Art Show 2019! This exciting and unique annual event features the work of Delaware’s women artists (and others) and will be held during the month of April 2019 in conjunction with Women’s FEST. Artists are invited to submit up to three works for consideration for display and sale during this popular exhibit. 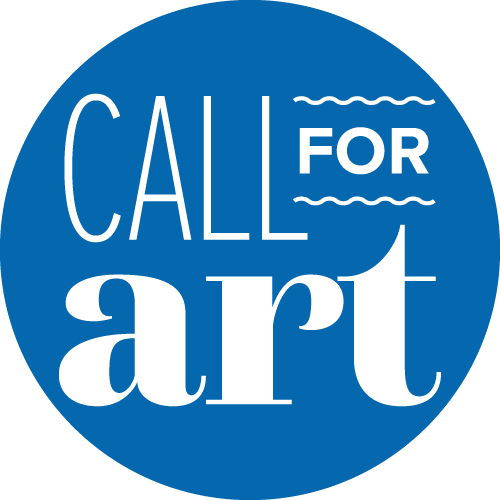 Paintings, photographs, multimedia art, and smaller 3-D works can be submitted. Artwork will be exhibited in the CAMP Rehoboth Community Center throughout April 2019, including during the busy Women’s FEST weekend. Liz Bradbury will be the juror for the show. Bradbury holds an MFA in Fine Arts from Indiana State University. She taught Art, Design and Art History as a tenured Professor at State University of New York and has won national awards for her art work. Bradbury will exhibit two of her pieces in the show and will give an Art Talk on Friday, April 12, at 1 p.m. at the Atlantic Sands Hotel. An Artists' Reception will be held at CAMP Rehoboth on Friday, April 12 from 3-5 p.m. Take advantage of the opportunity for artists, art lovers, and Women’s FEST attendees to meet, discuss the artwork, and enjoy refreshments. Last year’s reception was standing room only and many art sales resulted! The arts are a key part of our vibrant community, and CAMP Rehoboth supports the arts by promoting the work of local artists. The 25% commission on artworks sold during the Women’s FEST Art Show will go to support Women’s FEST and the CAMP Rehoboth art initiative CAMPfire, where we are Fostering, Inspiring, Rewarding and Energizing the arts and artists. Thousands come to the area for Women’s FEST, and the Art Show and the Artists’ Reception will be promoted via local media as well as social media (Facebook, Instagram), emails, and on the CAMP Rehoboth website. Your artwork could be featured! Show us your creativity and talent by entering your artwork for consideration. It’s easy! The entry process and guidelines are provided below. Please send an email to: artshow@camprehoboth.com and attach up to 3 jpgs of artwork you wish to submit. In your email, please include your contact information: your name, email, mailing address, and telephone number. Please also include the following information about each artwork submitted: the jpg file name, title of the work, framed size, and price if you wish to sell the piece. Your entry email with jpgs and all needed information must be received by March 3, 2019. You will receive notification on whether your artwork was accepted by March 8, 2019. Consignment agreement forms will be provided to those whose work is accepted. Size of framed works should be a minimum of 11x14” and no larger than 20x24”. Artwork delivered must be ready to display. Framed works should have a wire for hanging. Saw tooth hangers are not permitted. Selected artwork and the completed consignment agreement forms must be delivered to the CAMP Rehoboth Community Center, 37 Baltimore Avenue, Rehoboth Beach, DE 19971, from March 22 to 31, 2019. Unsold artwork must be picked up by May 5, 2019.